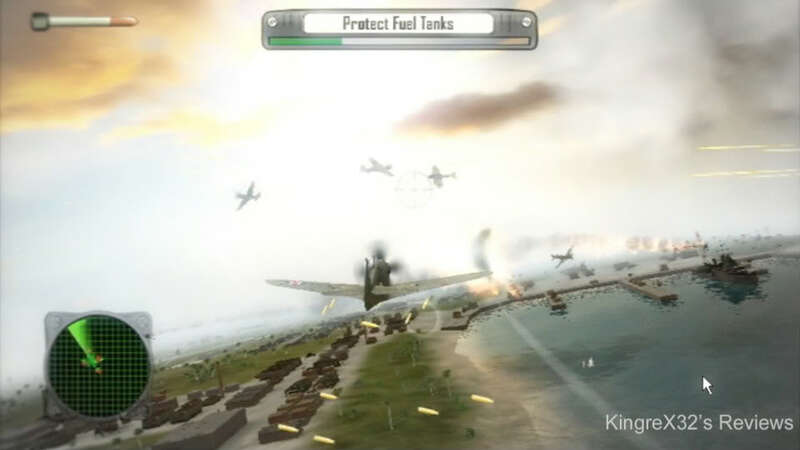 Pearl Harbor Trilogy is a Wiiware title it was developed and published by Legendo Entertainment and was released for download in July 2010. 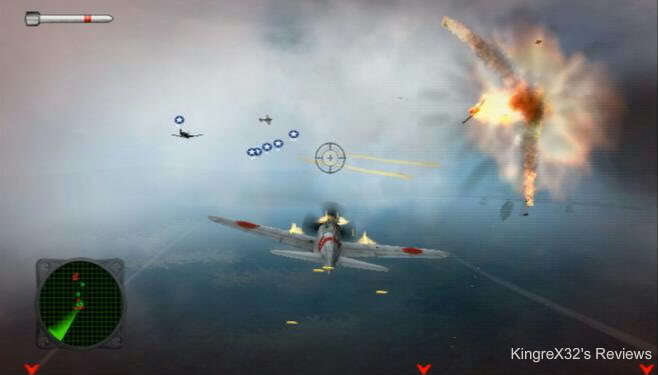 Pearl Harbor trilogy obviously is a WWII aerial combat game you play as unnamed Japanese or America pilots (depending on with campaign your in) as they fight through some of the most famous battles of WWII, like Pearl Harbor, Midway and Guadalcanal. 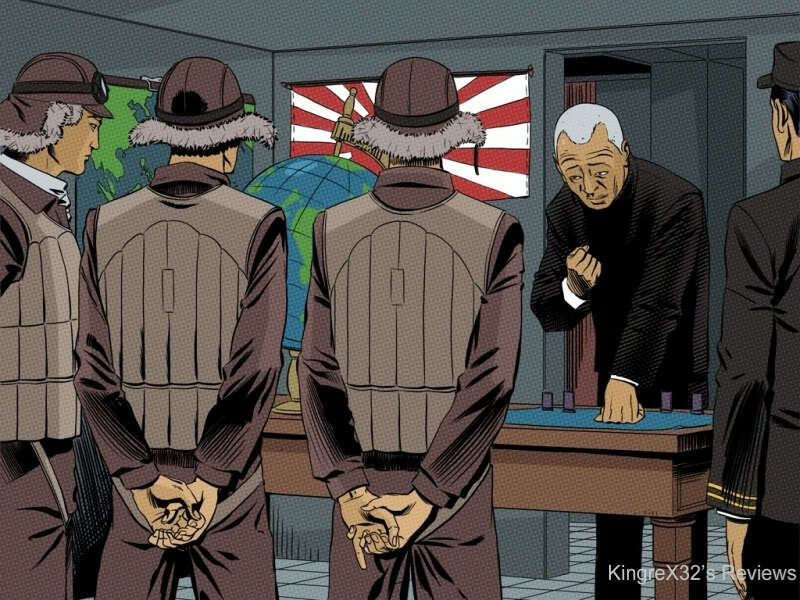 Graphically the game looks great; it has a distinct look with the comic book design of the menus and cut scenes. In game graphics are great also they are highly detailed (you can see the rust on your plane or the bullet holes in your enemies wings) and look better than even a lot of non downloadable Wii games out there. In gameplay the game has an arcade feel to it, things are very fast paced yet the game has hints of realism in it. An example is if you’re flying around and pull back on the throttle too hard the engine might stall (you can fix this by gaining speed) or if you fly into your ally’s line of fire you will take damage. One thing that really surprised me was your squad AI, unlike most games (call of duty) your AI is actually really helpful some when your up there it doesn’t feel like it’s just you. Control wise using the Wiimote and nunchuck is a little clunky and akward luckily you have three control options to choose from, you can use either the Wiimote and nunchuck, Classic Controller (that’s what I use) or just the Wiimote by itself. I had few problems with the game one was the Enemy AI seemed a little dumb, the main campaign is kind of short (about 4-5 hours) and there’s no multiplayer which was kind of a disappointment. 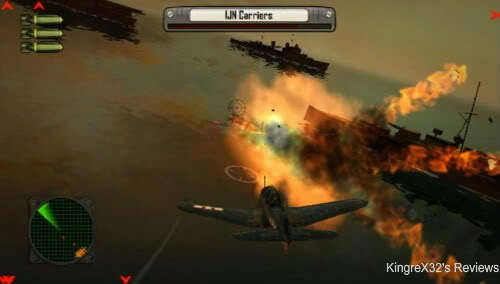 Apart from this Pearl Harbor Trilogy is a very well made game. Its fun, it looks great, it plays great, the extra modes give it a bit more replayability and at 800 nintendo points it’s a decent price. 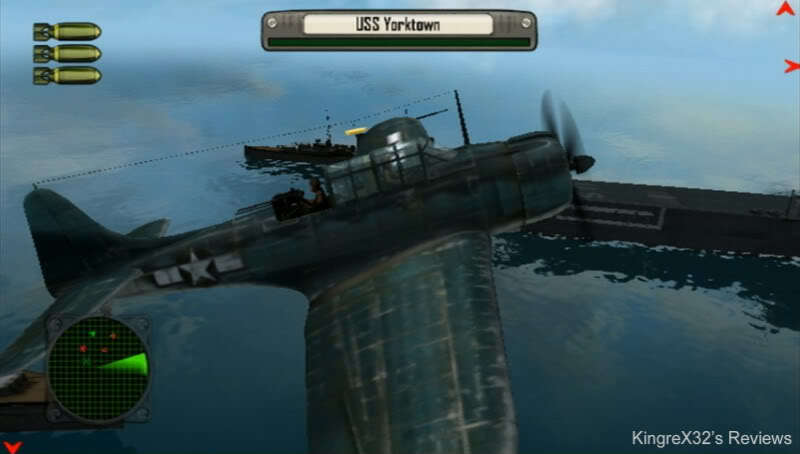 If your into air combat games then give this game a look, Harbor Trilogy - 1941: Red Sun Rising gets 8.6 out of 10. And nice review once again KingreX32 ! Thanks. unfortunatly this will be my last review for a while. its this economy. I cant find a proper job. No job means no money. No money means no games. no games no reviews. Meaning my sites gonna be even deader than before. Hey did you read the PM and wii messages I sent you? Rukiafan wrote: Hey did you read the PM and wii messages I sent you? This is a nice game for the price though an 8.6 seems a bit high your review is flawless and yes I do believe this costs 700 points. The game is too short for my tastes but great review kingreX32! Legendo did a spectacular job in making this game look as pretty as possible. Compared to some retail Wii products out there, PHT:RSR looks really good. Sadly though, the controls don't play as well as I thought it would - like you said in the review. Nice package, but definitely suffers without any form of multiplayer or co-op. Thanks man. Some Co-op would have been amazing. I know right? But on their facebook page I think I saw them say that they are shifting development to the WiiU. The other are not gonna come to wii. Shame about the controls. That'd be the main motivator for me to get it. Wiimote & nunchuk's motion control should be the ideal control method for a game like this. Indeed it is. Have you ever played Blazing Angels? It had Wiimote and nunchuck controls and they works very well. I do have Blazing Angels but far better are the controls on Sky Crawlers: Innocent Aces. I'd have loved a Star Fox with those controls. I oce bought Sky Crawlers. When I got home and opened up the case NOthing was in there. I wanted that game. OMG. That was used I assume. They didn't have it? You couldn't exchange? That's a shame. That'll be one of those rare, hard to find Wii titles. No it was upposed to be new. I bought it from a Future Shop. I was soo pissed that day. I went back to the store and had to fight for my money back. They were trying to say I took the game out. @KingreX32 wrote: No it was upposed to be new. I bought it from a Future Shop. I was soo pissed that day. Understandably. I've never seen an empty case. Guess you didn't want to try your luck a second time. nope. I returned the game. And began looking for it elsewhere. I couldnt find it though. And to this day I still cant find it. Like Brawl.